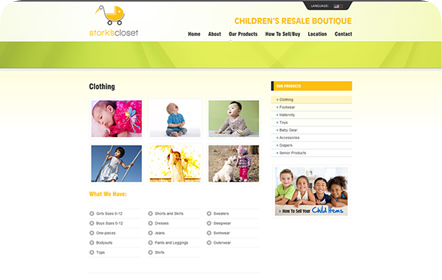 Specializing in used children and baby clothes, Stork’s Closet is a Children's Resale Boutique located in the Silverado Shopping Center in San Antonio. 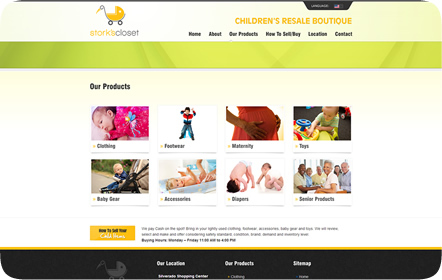 Stork’s Closet also sells baby gear, accessories, footwear, toys, maternity clothes, diapers and senior products. 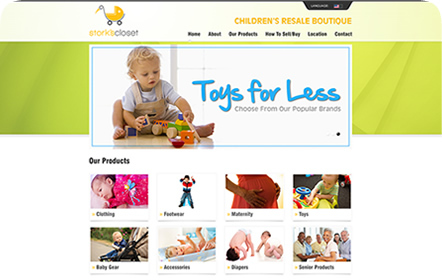 The boutique accepts new and like-new clothing while making a cash offer on the spot for all used products. 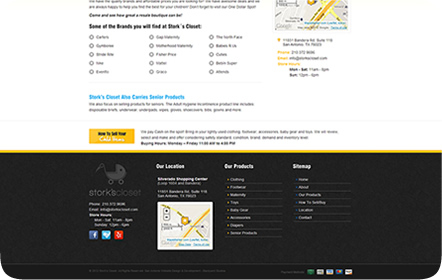 One of the main focuses with Stork’s Closet was to find a way to have the website's content in both English and Spanish, as the owners are Mexican and wanted to appeal to a wider range of people in the San Antonio area. 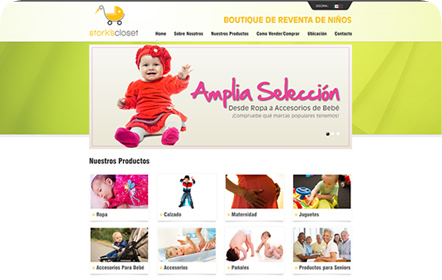 We were also able to implement a multi-lingual system that can toggle this one website between English and Spanish. We also placed a heavy emphasis on the range of products and brands the boutique offers through photography and detailed lists.